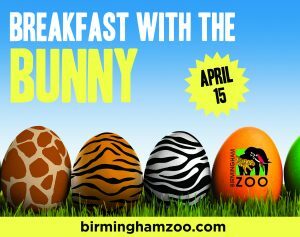 The Easter Bunny is coming to the Birmingham Zoo for breakfast at 7:30am and 9am on Saturday, April 15! Make your reservations now for this event before it sells out. Enjoy a scrumptious scrambled egg and sausage breakfast with orange juice and coffee at the Kudzoo Café followed by a visit from the Easter Bunny! 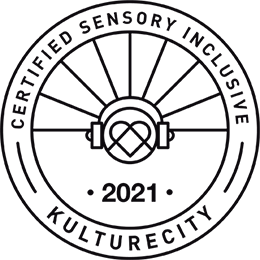 All children receive a special treat upon arrival and can enjoy making a craft. Event price covers Zoo admission for the day, Unlimited Ride Wristband, breakfast, activities and a visit with the Easter Bunny. Following breakfast be sure to join us for the first Eggstravaganza Hunt!